Boxing has finally made its return to the pinnacle of the sporting world again, with a plethora of top-class boxers and big personalities actively engaging in fights of real prestige and intrigue. The sport has been back on the rise for the last few years, with early 2019 set to continue the momentum with some matchups that will not only make for a great spectacle but will also have huge significance within their respective divisions. Here, we’ll be looking into some of the very biggest dates for you to look forward to in 2019, including the semi-finals of this season of the World Boxing Super Series, the next steps at the top of the heavyweight division, and the incredible battles heating up the war in the welterweight division. After the first World Boxing Super Series concluded in the middle of 2018 with Oleksandr Usyk defeating Murat Gassiev at cruiserweight and Callum Smith smiting George Groves at super middleweight to award the first Muhammad Ali Trophies, season two takes place in the bantamweight, super lightweight, and cruiserweight once again. Each division in this season boasts top-class fighters who are title holders or top title contenders. In the bantamweight division, one of the most feared boxers in the world, Naoya Inoue, puts his WBA World title on the line again, having defeated Juan Carlos Payano in the quarter-finals. Here, the Japanese pugilist will be taking on IBF World champion Emmanuel Rodriguez in a bout that’s predicted to go to the WBA World champion known as ‘Monster’. This huge clash between undefeated champions is expected to take place on March 2 with a venue in Puerto Rico sought, per BoxingInsider. Also in the bantamweight division, 36-year-old Filipino Nonito Donaire defeated Ryan Burnett to become the WBA Super World titlist, taking on South African Zolani Tete for the WBO World championship. The South African is heavily backed to take this fight, despite Donaire defeating the number one seed in the quarter-finals. There aren’t any world titles on the line in the cruiserweight side of the World Boxing Super Series this season, but there are four top-class fighters who have just three losses – only on by way of knockout – between them. In terms of the closeness of the contest, the Mairis Briedis versus Krzysztof Glowacki semi-final edges it as the better of the two fights: neither fighter has ever been knocked out, both rank very highly, and have 56 professional wins between them. That said, the duel between 17-0-0 American Andrew Tabiti and 23-1-0 Cuban Yuniel Dorticos could prove to be one of the fights of the season. The as yet undefeated Tabiti has the longest odds to win the tournament, with a Briedis-Dorticos bout being the predicted final. 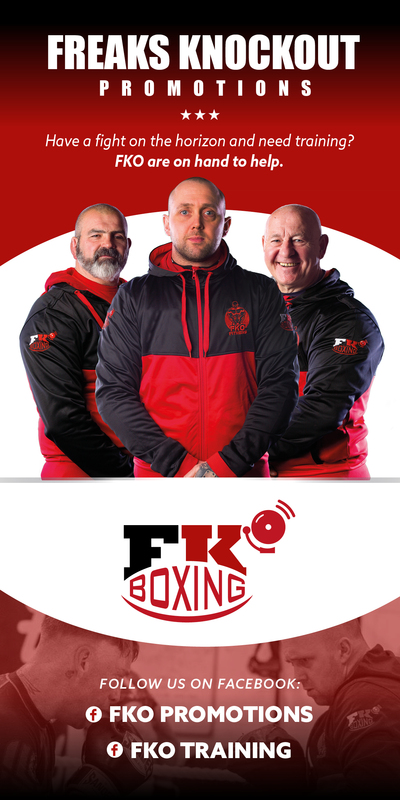 In super lightweight, there is the potential for an all-Belarus final, should WBA World title holder Kiryl Relikh and IBF World champion Ivan Baranchyk defy all odds and predictions to come out on top against their semi-final foes. Relikh will face the very highly-rated American Regis Prograis, who has recently taken down big names in Julius Indongo, Juan Jose Velasco, and Terry Flanagan. For Baranchyk, it’s the 27-year-old ‘Tartan Tornado’ in Josh Taylor from Scotland and his promising 14-0-0 record. The American and the Scot are tipped to meet in the final, with oddsmakers struggling to separate the two at this stage. If 2018 is remembered for anything in boxing, it’s the year that Tyson Fury’s incredible comeback story was quashed due to dubious points scoring in America – a fate suffered by many boxers in recent years and historically. As predicted by Oddschecker, the fight went the distance to see Fury ultimately win over Wilder, with the nature of boxing in America taken into consideration for Fury to win by split decision. However, a draw was the order of the evening to the fury of boxing fans around the world. But, with a draw, a bigger-money rematch is now on the horizon, conveniently. While it was a grand fight in which Fury outclassed Wilder with his boxing skill, but showed some rust in going to the canvas twice, it was eventually tarnished by the result. Luckily, Wilder cannot simply ride off to fight Joshua after ‘retaining’ the WBC World title, as the governing body has demanded an immediate rematch. According to the Telegraph, the fight is expected to take place in the spring with contracts signed in January. While the circumstances around its creation are unfortunate to say the least, boxing fans get to see some real bitterness from Fury come to the fore as he battle to claim what, in the eyes of the majority, is rightfully his: the WBC World title. The next fight should spell the end of the saga between these two boxers, most likely with Fury winning on points. If the fight does reward a winner, that puts the title holder in line to be Anthony Joshua’s opponent later in 2019. Anthony Joshua owns the other three world title belts – IBF, WBA, and WBO – standing on top of the heavyweight division right now; but, to reach the summit, he need the WBC World title from either Fury or Wilder. Negotiations with Wilder went too slowly for his belts’ governing bodies when he tried for the unification fight in early 2018, forcing Joshua into a mandatory defense against Alexander Povetkin. In an attempt to push future negotiations, the Joshua camp booked Wembley Stadium for his next to dates, but with a convenient rematch for Wilder, if the American wins, he could play hardball to get the fight in the shaky States should he defeat Fury. In any case, Joshua and Matchroom have continued to churn out top-class nights of boxing, so his next fight on April 13 should still be a grand event. As explained by BoxingNews24, Keith Thurman has spent nearly two years out due to injuries, but he’ll be making his long-awaited return to the ring in early 2019. In a tune-up fight which the WBA Super World champion is expected to win convincingly on January 26, the American will take on Josesito Lopez, which should put him back in line to challenge other title holders. In the welterweight division, Americans Shawn Porter, Errol Spence Jr., and Terence Crawford hold the WBC, IFC, and WBO World titles, while Manny Pacquiao has claimed the WBA World title under Thurman’s WBA Super World title in the American’s absence. On January 19, Pacquiao will take on American Adrien Broner, which the 60-7-2 Filipino is expected to win. On January 26, Thurman will have his comeback bout with Lopez. Then, on March 9, Shawn Porter will battle the wily Yordenis Ugas, which should prove to be an entertaining bout, with the highly-touted Errol Spence Jr fighting the 39-0-0 Mikey Garcia one week later. Garcia is showing a lot of bravery in taking such a big step up from lightweight, but if he can comfortably make the weight, it could prove to be one of the best fights of the year. If all title holders notch another win to their records, assuming that Terence Crawford books a fight in the early 2019 window as well, their availability lines up nicely for some almighty unification bouts to occur later in the year. What seems likely is that Pacquiao would fight Thurman for WBA supremacy, with Spence Jr taking on either Porter or Crawford in a colossal American-vs-American bout. This would leave the other to take on one of the other top contenders, such as Jessie Vargas or the exciting Lithuania Egidijus Kavaliauskas. Next year is set to be an exciting one in the sport of boxing, with so many great names entering into huge bouts at the start of the year which should lead to even bigger events towards the middle or backend of 2019.